The game of cribbage is one that many people have had the pleasure to play. Most people who haven’t played it at least know someone who has. I used the word “most” because I am a high school teacher, and I asked my students how many had heard what Cribbage is and no one could tell me. When I asked other teachers about whether they have played Cribbage, some had watched a game as an interested but inexperienced spectator yet had not actually played the game. Cribbage is played by many adults, and often kids are taught the game once they are able to count to thirty-one and can understand the concepts of pairs, flushes, and runs. My third grade son can actually play Cribbage in place of the math games required by his school teacher. Cribbage is a game that can enrich a person’s life and add a medium for connection with friends, family, and other enthusiasts alike. One could even check out local information available to each state in regard to clubs, tournaments, and youth programs for Cribbage by visiting the site http://www.cribbage.org/ which also has an extensive amount of information related to rules. Below is a custom made Cribbage board that was designed by students from a local technical college and given to me as a gift from my father-in-law. Beginning players will need to have access to, or purchase, a cribbage board and a deck of cards. A cribbage board will cost anywhere from $10 to $50 depending on whether it is hand crafted or specially designed. It is simple to learn the game, however it can get quite complex when all of the rules are followed exactly. For younger players it is best to start off with patience, allowing for mistakes and use house rules until the beginning player can be considered more than a novice at the game. Once the new player becomes accustomed to the rules and nuances of Cribbage, a more competitive rule called “muggings” can be played where if a player does not peg points that were earned in a hand, the opposing player can steal them. Below is what the board can look like when you purchase one from a store. 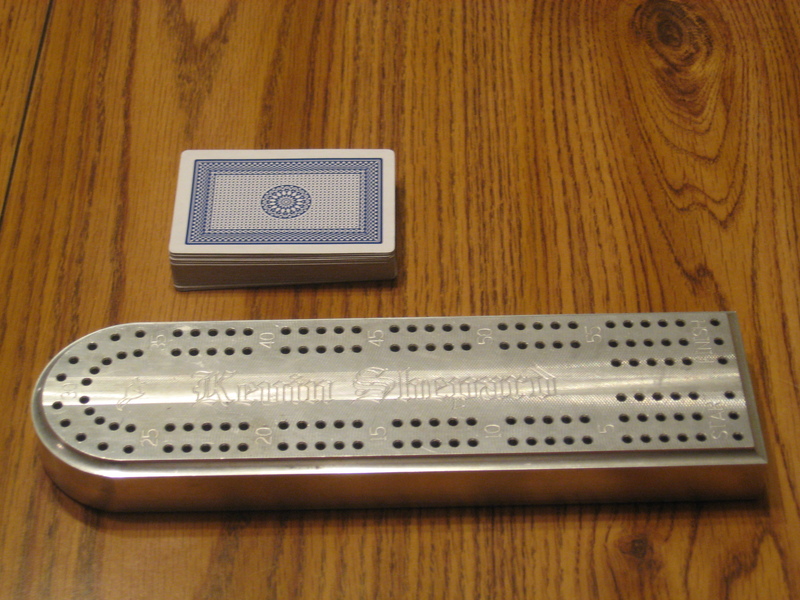 You can usually find Cribbage boards at local retailers, game stores, or on-line. The first time I played Cribbage regularly was with a friend of mine from church once we finished our Bible study in a local restaurant. Since the game is so portable and does not require anything louder than casual conversation, not very many places are off limits for this game. After becoming familiar with the game I shared it with my wife while drinking a cup of coffee in the morning. Also, I have had the pleasure of sharing games of Cribbage with my daughters, son, and brother-in-law. By learning the rules and playing this game enough to understand them, I have quality time invested with people I love, and I have made a face-to-face connection with others. 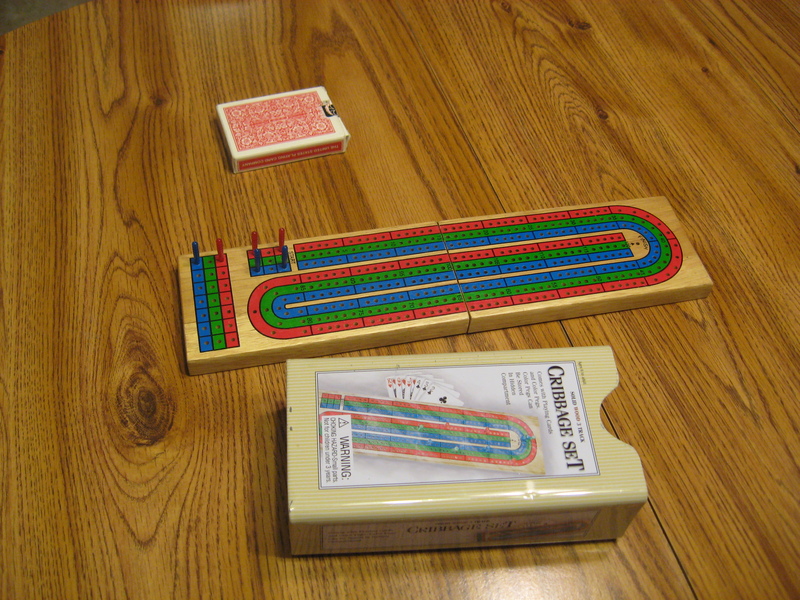 The game of cribbage can be played on-line by computer or mobile device, however, the personal connection is lost when played in this way. Take the time to learn and play Cribbage with others who are known and loved and it will be time well invested.